Disruption is a single player interactive narrative PC game that allows you to experience the psychological and real devastation caused by warefare. This surreal story offers a glimpse into the world of a solidier staving off post-traumatic stress disorder (PSTD), and considering a path of resistance. With two paths before you, you must choose where you stand. I co-designed the simple core loop of the game. The user interacts with the office space, receives an email, carries out a drone attack mission via a mini-game, and receives several forms of feedback from their actions. A visceral, gruesome video of the attack is shown immediately to the user so that they understand their mandatory decisions led to the violence shown. We needed the users to realized both the dissociations of a drone operator as well as the real-life, traumatic carnage and psychological effects. The user is stuck in this situation but their actions have consequences. This is not your typical shooter. Wanting to make a game that addressed ignorant rhetoric and toxic policies, we designed a hyper-reality of the current political climate. I provided all art assets within the game seen above. The artistic style was meant to mimic the Cold War era meets modern day American office to address the cyclical nature of war. I also created a storyboard for this game so that the developers and other designers could understand the structure. The game directly addresses Trump's Muslim ban as well as the complexity of inner emotional struggles for a drone operator. Therefore simplicity and intuitiveness in design was important to reach as many users as possible with our message. 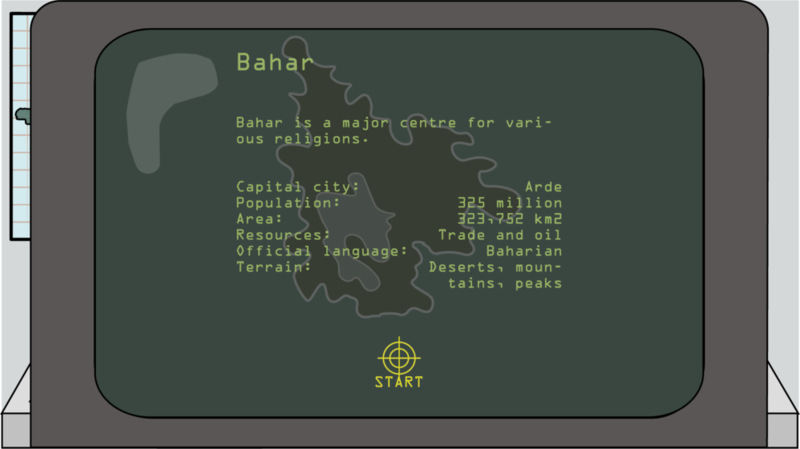 As a click and point, branching narrative game, the user follows simple mechanics and a basic storyline that keeps repeating. Giving the user a certain level of agency, we created several ending to this quick-paced game. 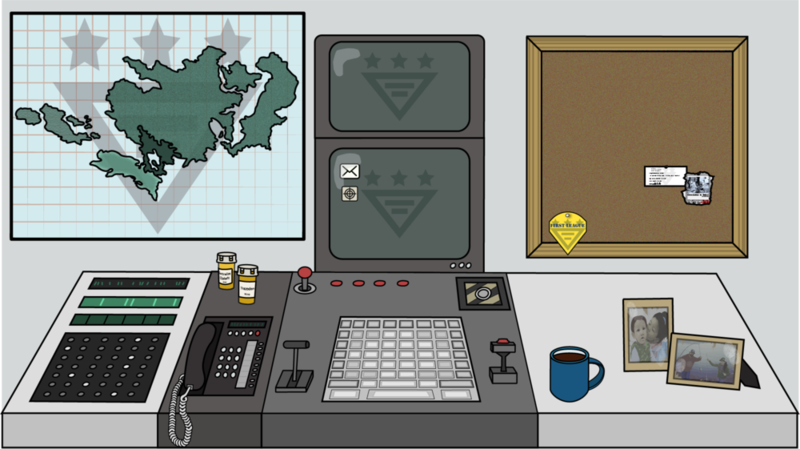 The endings extend outside of the game and into the user's world asking them to make a real life call to action via donations or mobilization. For example, if the user chooses to resist the drone officer and the fascist government agency, they are asked to either donate to the ACLU (the organization fighting Trump's Muslim ban) or to learn how to organize and take progressive action via www.resistanceschool.com. If, however, the player continues to deploy their drone missions, it leads to a completely unplayable game and an entirely different call to action.